At the American Pit Bull Terrier Club of New England UKC weight pull on April 28th & 29th, Katie & her Incendio boys had a strong showing! Cinder (Spark x Vespa, pictured) pulled 1125lbs (38.79%) on Saturday to win the 30# class and earn 15 championship points, and 795lbs (27.41%) on Sunday for 2nd place in the 30# class and 10 points! Switch (Spark x Kenzi) pulled 366lbs (16.63%) on Saturday for a 5 point pull! 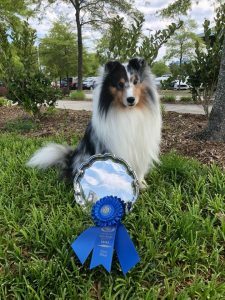 Spark won Excellent A Rally with a 96 at the 2018 American Shetland Sheepdog Club National Specialty trial! 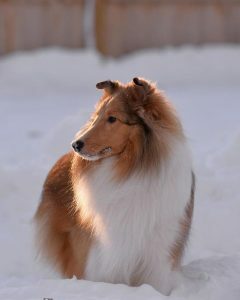 We’re in Virginia Beach this week for the American Shetland Sheepdog Club National Specialty! Be sure to come say hello if you’re visiting. Spark earned a 3rd place & Q in a very competitive Masters Standard 16″ class, and Strata earned a 3rd place & Q in Masters Jumpers Preferred 12″! Katie’s Switch (UGRCH Foxglove Kaskia Split Decision – Spark x Kenzi), pictured, earned his very first AKC qualifying score today with a 4th/Q in Novice Jumpers with Weaves 16″! 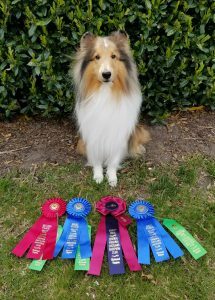 Team Incendio had a great day at the Central Virginia Shetland Sheepdog Club AKC agility trial! Spark won Masters Standard 16″ & took 4th in Masters Jumpers 16″ for QQ #4. This finished his Masters Jumpers Bronze (MJB) title! 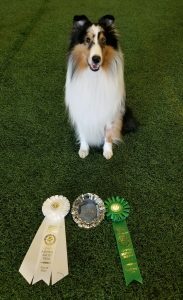 He had the fastest YPS of all heights in Masters Standard, winning the club’s Luna High in Trial award for that class. Strata was only entered in Time to Beat Preferred 12″ and made it a good one, winning the class. Katie’s Cinder (Spark x Vespa) won Excellent Standard 20″ & took 2nd in Excellent Jumpers 20″. Check out the Facebook post for video of Spark’s winning Standard run. 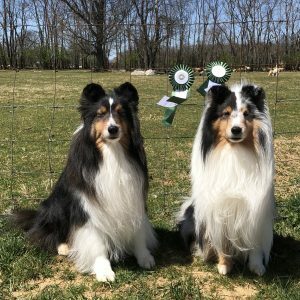 Our own Strata and Spark earned the first legs toward their AKC Pre-Trial Tested (PT) herding title today at the Shetland Sheepdog Club of Greater Baltimore herding trial in Berryville, VA today! 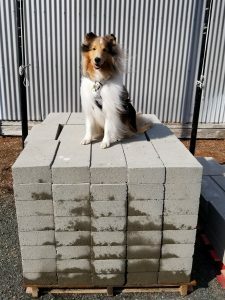 Congratulations to Katie Rogers & Cinder (UWPCH Foxglove Incendio Strike While It’s Hot OA OAJ NF TKI AD – a Spark x Vespa puppy) for finishing their AKC Open Fast (OF) agility title today at the Central Virginia Shetland Sheepdog Club trial!